There's nothing like a good creative collaboration! Every month we like to stretch and flex our creative muscles, it keeps our work fresh and the creative juices constantly flowing. It also gives us a chance to work with new people, explore new ideas and produce new work. We recently teamed up with makeup artist Lori Bee and photographer Natalie Gordon to work on a concept shoot designed by Lori Bee. 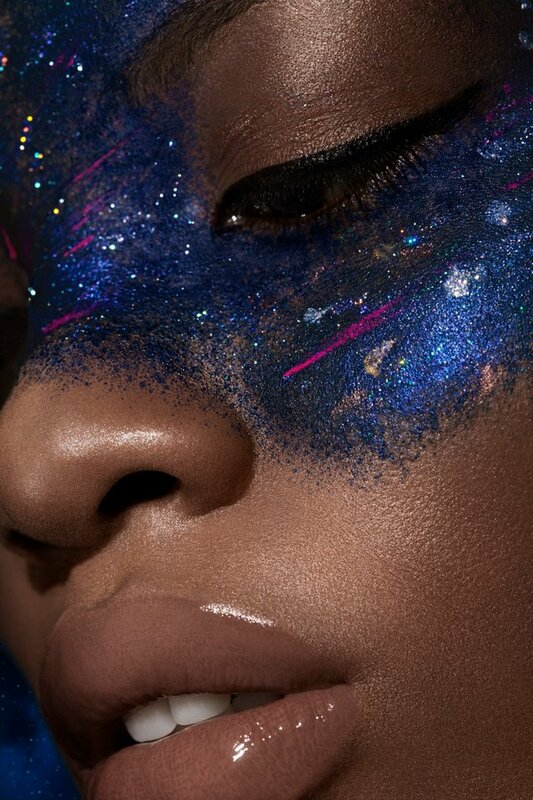 This beauty story is entitled "Interstellar Beauty", inspired by the film Interstellar and make up texture artist Danessa Myricks. When it comes to creative collaborations, the best work is always done when each member of the team brings its own unique thought process and thinking to the overarching concept. Lori Bee wrote this concept about travel and familiarity in a place that isn't familiar. Speaking with me, and the fact that one of my sources of inspiration is films, wanted to tie it back to a story which has similar themes. This allows the work to have a richer story and a thread which can be seen throughout the work. When working with others on a collaboration, it's always important to keep your aesthetic while combining it with your fellow creatives point of view. Lori envisioned a world of glitters, pigments and stardust set against a dark night sky after I had introduced her to nebulas, dust clouds and the beautiful imagery of deep space. Taking that lead and thinking on the films themes lead Lori to experiment with makeup in order to interpret this into a beauty look. We love the colours, sparkle and allusions to comets and stardust which she was able to create on the model. The result is an outworldly but striking look which we all loved. Interstellar Beauty, transcending all manner of dimensions. These are the three main images of this beautiful beauty story. You can check out the creative team further work with the links below and we would love to know what you think of our story in the comments below. 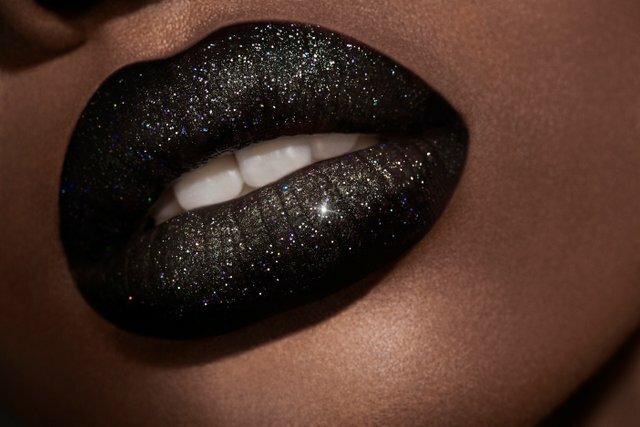 Love love love the “Galaxy Lips” excellent collab!